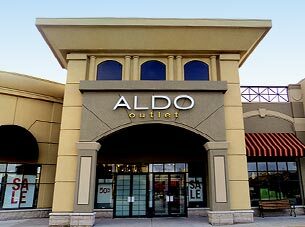 The destination for style-conscious shoppers, ALDO Shoes Canada is all about accessibly-priced on-trend fashion footwear & accessories. As part of the store management team, you are an integral part of ALDO’s image and the incarnation of our values; Love, Integrity and Respect. You love the product. You literally live for fashion and are passionate about footwear and accessories. You also love working with people. Customers and team members are dazzled by your outstanding leadership and interpersonal skills. You take integrity to another level. You use your own experience to give advice to customers and are devoted to provide an exceptional shopping experience to everybody entering your store. You are a born leader. You are dedicated, hard-working and willing to do anything in your power to help the associates reach their full potential. You treat them with respect and loyalty and are an inspiration for them on a daily basis. In other words, as a team leader you are proud of your store and are involved in every detail to make it a success! Did this description speak to you? If you think you have what it takes, come and join us at ALDO Group and be part of something great. • *JOB RESPONSIBILITIES** • Providing total customer service. • Driving sales and key performance indicators. • Coaching and motivating a team. • Recruiting and developing a sales team. • Maximize sales and customer service • Managing inventory and loss prevention. • Controlling operating costs. • Strong ability to adapt to different cultures and environments. • *JOB REQUIREMENTS** • Management experience in Retail or Service industry. • Strong leadership and communication skills. • Ability to coach and motivate a team. • Unyielding salesmanship. • Confidence and enthusiasm. • Love for fashion. • Experience**: • 6 months of selling experience (Preferred) • High school or equivalent education • MUST HAVE OPEN AVAILABILITY TO APPLY: PLEASE VISIT IN-STORE AND ASK FOR MANAGER Aldo Group reserves the right to change, alter or amend the job duties of employees and its sole discretion with or without notice. Responsibility for setting the example of an “ideal” retail store Sales Associate, assisting the store management team with store operations, interacting with customers to problem solve issues, assisting in the sales process, ensuring an outstanding customer experience. Working with store management team to plan and execute on development and business plans. This role is a developmental opportunity in preparation for a management position. Assist with inventory counts as needed Assist in maintaining store appearance and merchandising standards and provide excellent visual presentation. Willing to work retail hours and initiative.